No big deal, just about every Marvel actor including Chris Evans, Scarlett Johansson, Paul Rudd, and Robert Downey Jr. will be around. Not to mention Jon Hamm and Ice Cube. 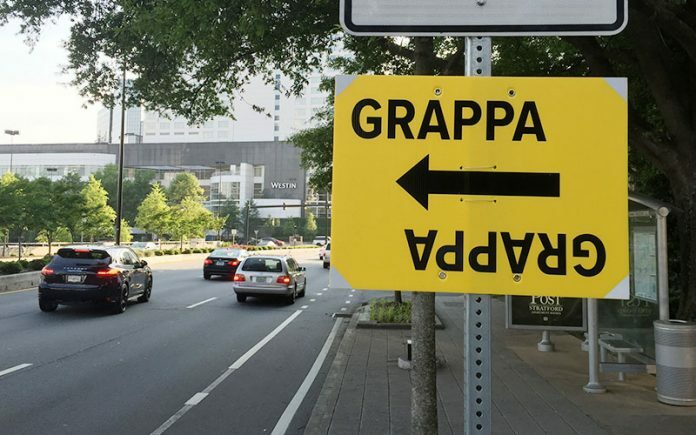 A production sign for "Captain America: Civil War" points toward a basecamp near Lenox Square in Buckhead. Jon Hamm is in town pitching ad campaigns for Coca-Cola filming “Keeping up with the Joneses” (Scorpion) alongside Zach Galifianakis. In this comedy, the competitiveness-inspiring neighbors actually are undercover agents. Signs first popped up at 75 and Howell Mill late in April, and have since been spotted around the Dupont Commons housing development off Marietta Road near Northwest Atlanta’s CSX Tilford Yard. Additional signs pointed toward the Atlanta Union Mission on April 30. “Barbershop 3” (BB3) is bringing Ice Cube, Common, Anthony Anderson, and Cedric the Entertainer into Atlanta. Also, Nicki Minaj and Queen Latifah are rumored to have joined the cast. 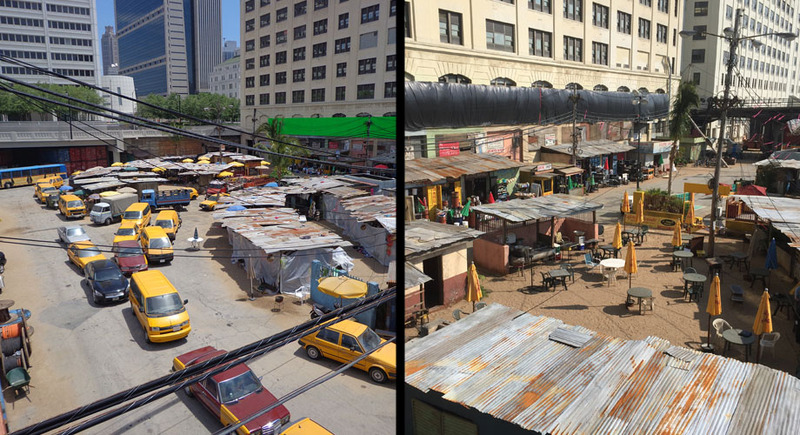 Crews were spotted in Decatur on May 11 with a basecamp on Church Street and Commerce Drive, and filming took place nearby on Ponce de Leon Court. BB3 signs were placed as far away as Peachtree and Ponce for this shoot. Currently, production has moved to Ralph David Abernathy Boulevard between Laurel Avenue and Inman Street. They’ll be down there until May 21, and again on May 26. The crew for “Billy Lynn’s Long Halftime Walk” (BLLHW) have practically lived downtown this month. In late April, the Georgia Dome completed standing in for the Dallas Cowboys’ AT&T Stadium. After that, crews moved into the AmericasMart, where they filmed an upscale Texas aristocratic party. Yes, that’s as scary as it seems. “Rings” (O) has been busy this month as well. It finished up April at Emory and was spotted on May 7 at Georgia Tech. On May 11, a basecamp sprouted up near the Garnett MARTA station, and last week, signs could be seen on Ellsworth Industrial Drive and Bolton Road. “Michelle Darnell” (Darlings) was in Midtown on April 24, and off 75 and Howell Mill Road on May 1. “The Walking Dead” (SF) has begun production in Senoia, and “Halt and Catch Fire” (HCF) season 2, now wrapped, filmed off of Piedmont and Lambert Drive. “Survivor’s Remorse” (SRS2) was downtown on May 5, and has been shooting in a mansion near West Paces Ferry Road and 75. Signs for its basecamp were spotted near Northside Drive Baptist Church. “Alvin and the Chipmunks: Road Chip” (AC4) filmed a Mardi Gras scene in Conyers between May 5 and 8. It also took over the Gold Room on Piedmont and Lindbergh Drive to create a Miami nightclub. And if all of that wasn’t enough, four of the five pilots we reported on this year have been picked up. All but “Kingmakers” will air. “Cordon” (1159) has been renamed “Containment” and will air midseason on the CW. “Brothers in Atlanta” (BIA) will premiere on HBO, “Quantico” (Q) will air this fall on ABC, and “Game of Silence” (GOS) on NBC. But the good must come with the bad: We’ve officially lost ABC’s “Resurrection” (FTP). Later this month, “The Divergent Series: Allegiant,” both Part One and Two, will begin filming. The working title, “Amnesia”, is not being used as the production code. Instead, look for ELEMENT signs to point out “Allegiant.” The production will film in Serenbe, and most likely downtown Atlanta. If you’re familiar with the story, shoots at Hartsfield-Jackson Atlanta International Airport might not be out of the question. And lastly, we’ve heard unconfirmed rumors that “The Hunger Games: Mockingjay Part Two” will be returning to Atlanta for a reshoot on June 6 through 8. Catrett Locke Casting (aka CL Casting) posted a call looking for a Caucasian female brunette and a blonde male for an “Untitled Trilogy reshoot.” Just in case these rumors turn out to be true, we wanted to remind you that “Mockingjay” used C4 for its production code and that Jennifer Lawrence has been known to cause Atlanta-area car accidents.